Justin Lin’s Star Trek film hasn’t started filming yet, but there are already plans for a fourth movie in the reboot series started by J.J. Abrams. 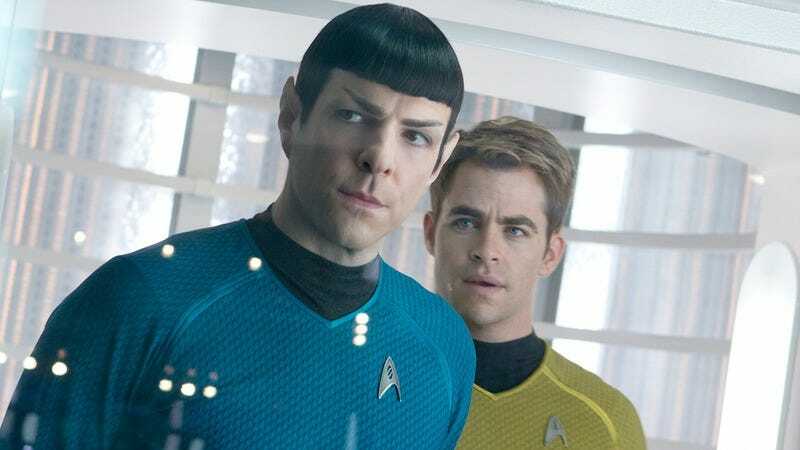 According to The Hollywood Reporter, leads Chris Pine and Zachary Quinto—who signed contracts with options for two sequels way back in 2007, along with the rest of the principal cast—have signed on for at least one more Star Trek. The news comes as the result of an 11th-hour contract negotiation which saw the principal cast get substantial pay increases. (Long story short: The crew of the USS Enterprise received only nominal raises during Star Trek Into Darkness, but production delays on the new film had rendered the 2007 contract void under California law.) Though the individual raises are being kept secret, as much as $15 million reportedly had to be added to the budget at the last minute. Lin’s as-yet-untitled film, which is widely rumored to be called Star Trek Beyond, begins production in Vancouver this week. Lin replaced Roberto Orci, who was originally slated to both write and direct. After parting ways with Orci, Paramount and Skydance Productions commissioned a new script, co-written by Simon Pegg and Dark Blue creator Doug Jung. There is no information at present about the fourth film, which is a sequel to a movie that hasn’t been made yet and doesn’t even have a title.